We Unlocked Our RX 460, Worth It? A couple days ago we reported on the guys over at overclocking.guide having successfully unlocked the RX 460 to the full 16 Compute Units giving RX 460 owners essentially free performance. 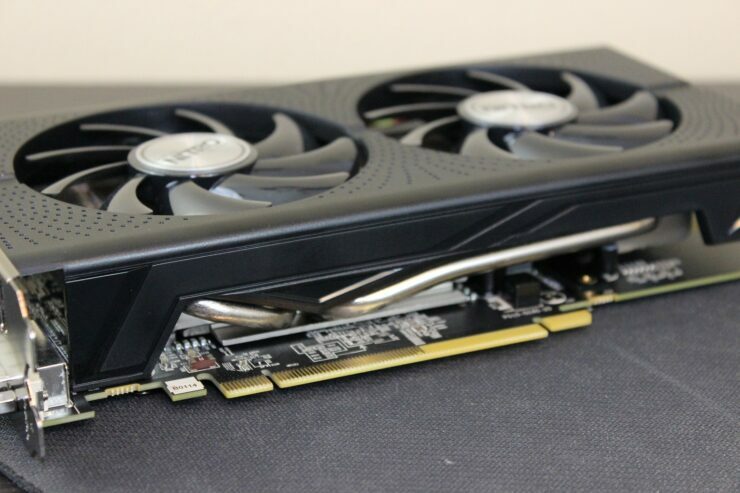 Early in the leak cycle of the Polaris cards it was believed that the RX 460 would launch with 16 CUs resulting in 1024 Stream Processors, but when it came to the actual launch of the RX 460 we saw the cards come out with only 14 CUs and 896 Stream Processors. This left much speculation around the Polaris 11 based cards not being fully enabled and the possibility of may something along the lines of an RX 465 down the road. Well, those guys at overclocking.guide did one even better, breaking down the wall of those last two CUs and pulling extra potential out of the little chip. So far only the Sapphire RX 460 Nitro OC 4GB and the ASUS RX 460 Strix 4GB are verified to work. If you want to know more about the process of how to unlock yours head over to our article where we already detailed those steps. 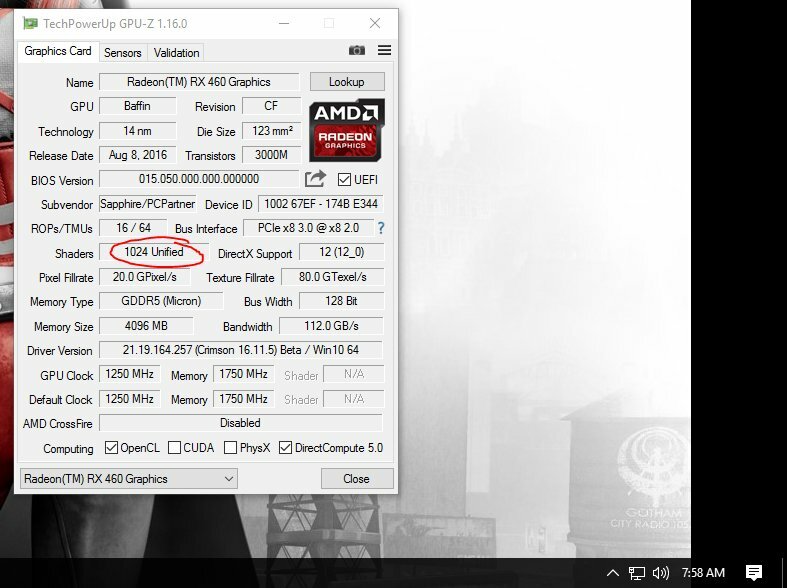 Before attempting this it is very important to know that with the launch of AMD Radeon Settings ReLive that BIOS Signature Check has been Re-enabled and effects Polaris users. I was disheartened to find this as I run a custom BIOS for my personal RX 480 and just like it, this mod on the RX 460 keeps me from running the latest driver. There’s a workaound included in the aforementioned link for those with the patience to do so and want to run the latest drivers. From there we went on to flash the RX 460 following the guide and it went off without a hitch. The whole process only took a couple minutes from start to finish only requiring one reboot and a quick update to GPU-Z and it was off to the races with our freshly beefed up card. We used our regular test system to see how effective the change was. We also made no changes to the GPU clock rate. Using only one synthetic test and three common games that had built in benchmark tools to expedite this article and see what kind of results might be typical. Sticking to DX11 titles only for this but we did use FRAPS to record performance so that we could monitor the change in average FPS as well as our 1% and .1% lows to see where, if any, real changes happen. Firestrike is a good test to measure changes like this since it is fairly consistent and we are only taking record of the Graphics Score since that’s where we are focusing. Turns out we see about a 5% improvement on the raw score, nothing to shake a stick at in all honesty. GTAV is still a heavily played game that has a lot going on and is pretty heavy on the GPU along with the CPU, but there’s no way an i7 6800k is gonna hold back an RX 460. We ran GTAV at 1080p ‘High’ settings with 2xMSAA on world and Reflections. I debated about holding this one until the end since it came out practically flat on the performance delta, but here it is, up front on the game results! DiRT Rally is a common game we use in our test suite thanks to it’s game engine that scales exceptionally well across all hardware ranges. We set DiRT Rally to 1080 at the ‘High’ preset along with 2xMSAA. This is where we start seeing some interesting results. The AVG FPS may only see around a 5.3% increase, but the 1% and .1% see a healthy 20% and 15% increase respectively. Shadow of Mordor is a game that doesn’t get a whole lot of attention on the site, mostly because it’s an older game, but is easy to use for quick tests like this. Running SoM at 1080p ‘High’ preset yielded some of the most interesting numbers yet. Again, our AVG FPS only went up at 5.2% but our 1% and .1% lows jumped a massive 21% and 33% respectively resulting in a much smoother experience. Is it worth it? Well, that depends. The extra performance is undeniable, except in GTAV where it didn’t exist. But the inability to update to the latest driver without ‘tricking’ Windows and Radeon Settings is a bit unnerving to say the least. Another angle to consider is the long term stability of unlocking the other two CUs and the effects it will have on the lifespan of the card. The biggest question I have in walking away from this exercise is WHY? Why are the other two CUs on there disabled, was it yields? was it to hit a power envelop? was it so that later they could release a new SKU, something like a RX 465 without having to reproduce a whole new line? What are your thoughts on this? We’d love to hear what you have to say.